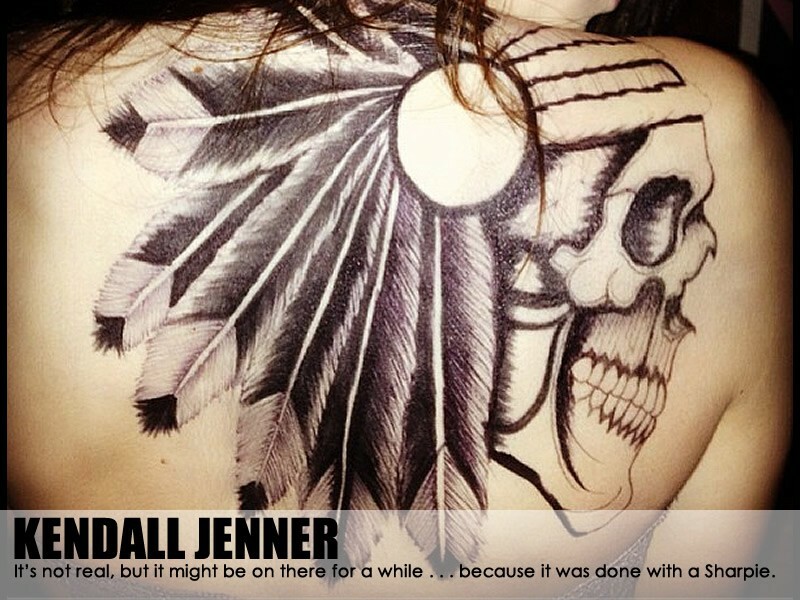 KENDALL JENNER got a HUGE back tattoo. It’s not real, but it might be on there for a while . . . because it was done with a Sharpie.